Mojo is your All-in-One Real Estate prospecting solution. Web based and Mobile CRM, Power Dialer and Real Estate lead service in one easy to use package! 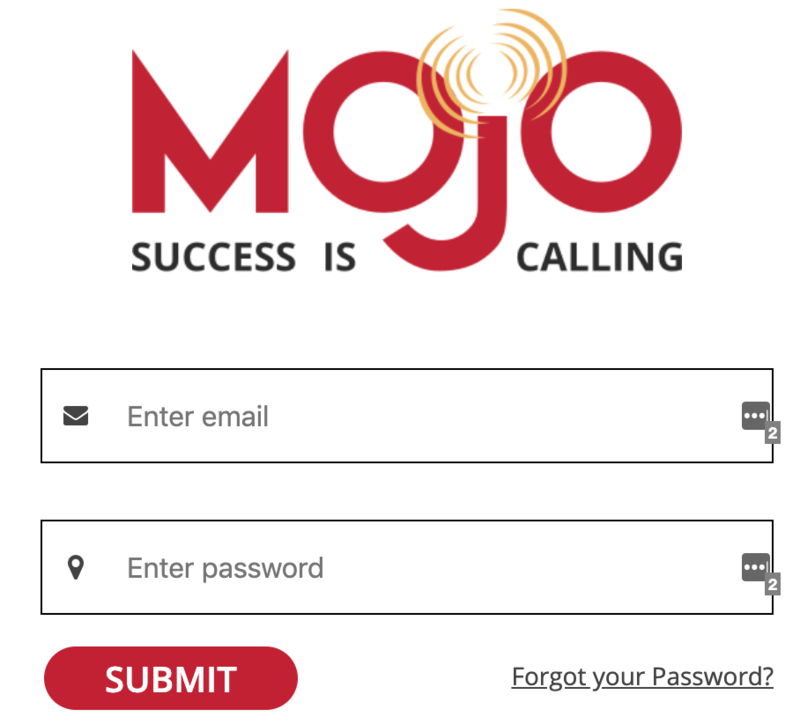 To authorise Mojo Dialer, we need your Email and Password. 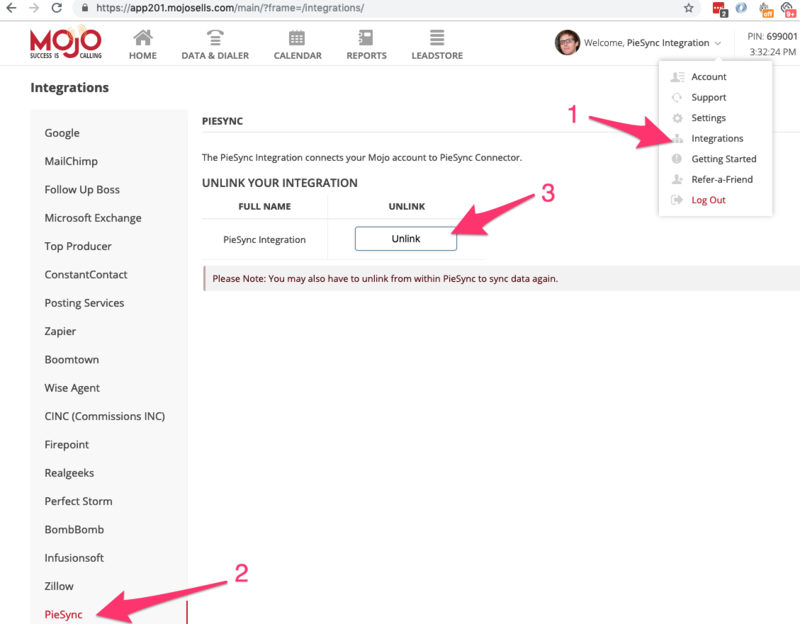 If you already authorized Mojo Dialer account(s) in the past or in any other PieSync integration, you'll be able to skip the first part of the authorization and choose from your CONNECTED ACCOUNTS. Mojo requires you to reuse a previous authentication. They only allow you to install a certain application once. In some cases this can lead to the below error upon authentication. Do note that taking this action implies that any other PieSync integrations you might have running will cease to work. 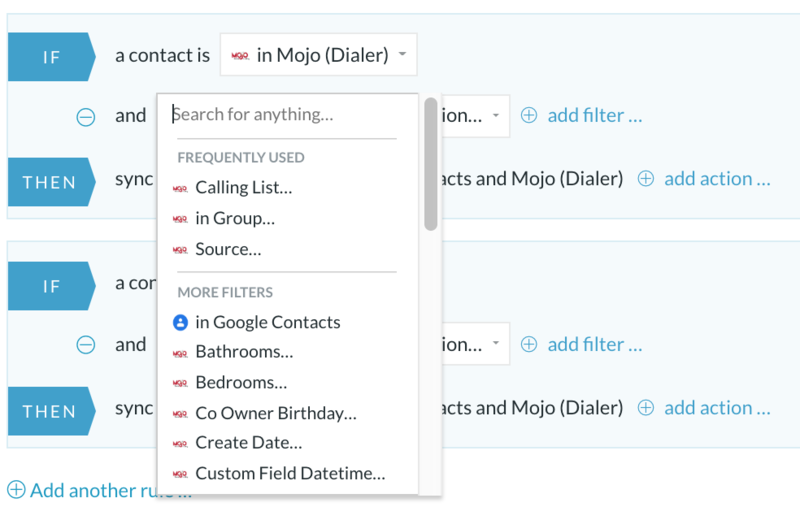 You can custom map your Mojo Dialer Custom Fields and any additional standard fields that aren't included in the default mapping yet. Bear in mind a mapping between two fields can only exist if the types of fields are compatible, and the particular compatibility will determine the direction of the mapping as well. More information on Customizable Field Mapping here. 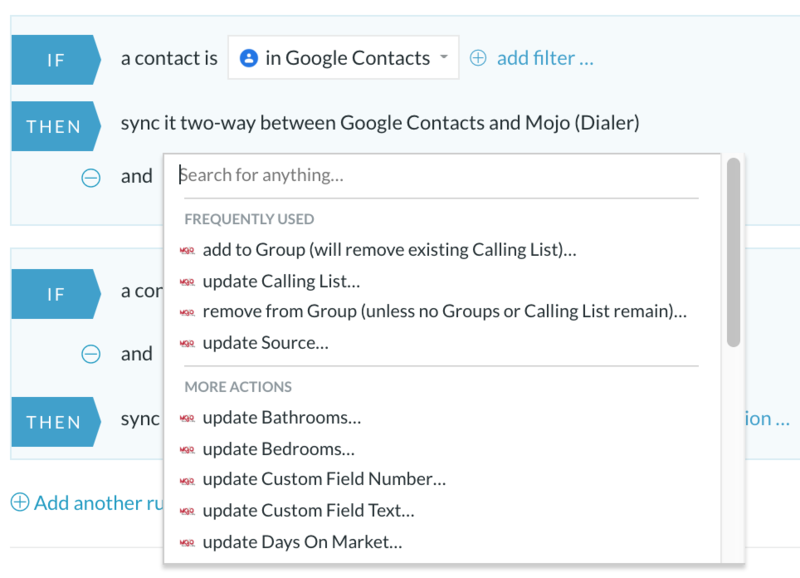 Currently, there are no Mojo Dialer integrations on the PieSync platform that support our deletions sync. Currently, there are no Mojo Dialer integrations on the PieSync platform that support our unsubscribes sync. If you disable this feature and your PieSync rules don't have an action, contacts won't be synced towards the other side.